HOCHWERTIGE QUALITÄT ! MADE IN GERMANY ! Set of 5 Tea Light Holder Garden Lanterns. 1 Set of 5 Tea Light Holder Lanterns. A nice selection of miniature hanging lanterns suitable for outdoors or indoors. Tea lights are inserted via the bottom of the lantern. Black Moroccan Style Lantern, 2 Designs !FREE UK P&P! Battery Power Festoon Lights. 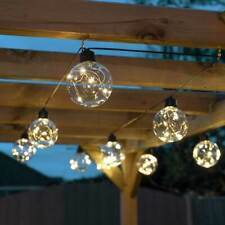 The 10 bulbs are fitted along a set 4.5m length and are not connectable. If you want your lights to stay on for longer, simply set the switch to the On position and turn off when required. Illu Stecker Illu Endstück für Flachbandkabel Lichterkette H05RNH2-FIllu Stecker Illu Endstück für Flachbandkabel Lichterkette H05RNH2-F. Illu Stecker Illu Endstück für Flachbandkabel Lichterkette H05RNH2-F.
5 Piece Hanging Lantern Set . Sports & Exercise. Simply twist the bottom of the holder and take out the piece and insert your candle back in, and put the base back in. These hanging lanterns will that romantic effect to your garden and yard. 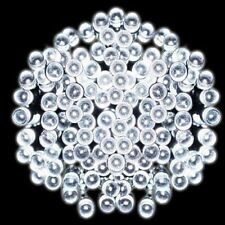 4.5m Battery Power Festoon Lights. These battery-powered lights are great in places that are hard to reach with mains-powered lights. The 10 bulbs are fitted along a set 4.5m length and are not connectable. 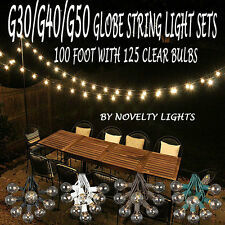 This 20ft Crystal Ball String Lights can help you deal with it! It can adorn your party, garden, wedding, celebrations, bedrooms and trees, mantle, balcony, window, restaurant. 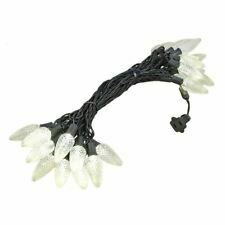 Brighten Up Your Spaces -- About 6.5ft lead cable and 13.5ft lights cover(20ft TOTAL LENGTH) strand perfectly spice up every places. 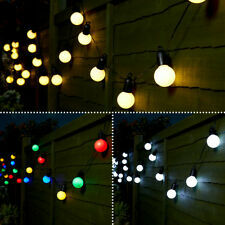 Feit Outdoor Weatherproof String Light Replacment LED Bulbs 1w watt 3 pc. 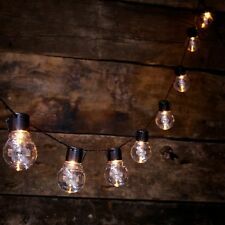 This posting is for 3 replacement bulbs for the string lights pictured. Each bulb uses 1 watt. This is an exact replacement. 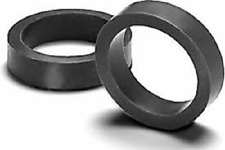 They will not ship in any type of factory packaging. Shipping is free and same day in most cases. Zaubern Sie mit Hilfe dieser stromunabhängigen LED Lichterkette eine stimmungsvolle oder festliche Beleuchtung bei der Gartenparty im Sommer oder in der Weihnachtszeit. Rayovac DIY3DLN-B 3D LED Indestructible Lantern with Battery LIFETIME WARRANTY!